I've been holding this little project back because I knew my friends at the Inspiration Cafe were issuing a Copy Cat challenge this week. 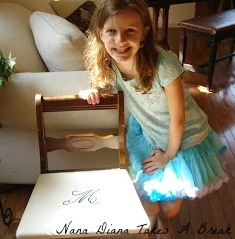 About a year ago, I pinned this sweet boudoir chair that Nana Diana Takes A Break made for her granddaughter. 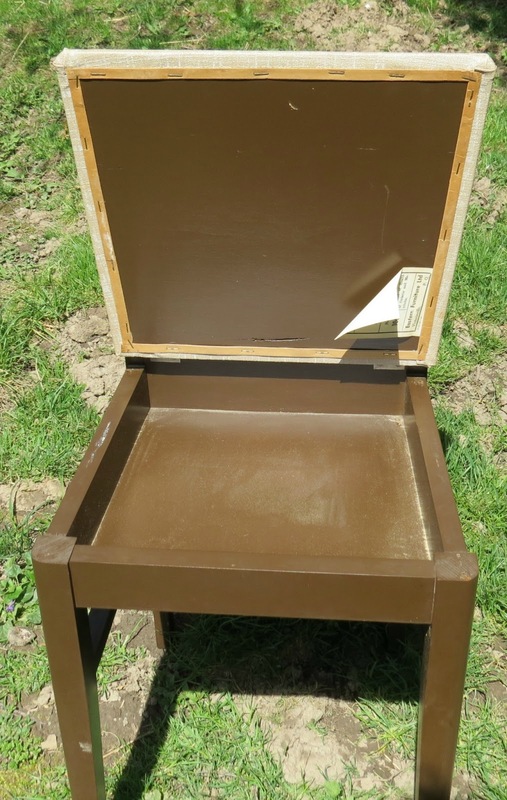 She used a sewing chair that had a seat that lifted to store little girl treasures in. The first order of business is to spray paint it black. Then I went to town on dressing her up. Using a staple gun I attached the skirt to the inside of the chair and had just enough length to reach the floor. There was enough fabric width to cover the legs at the front and both sides. 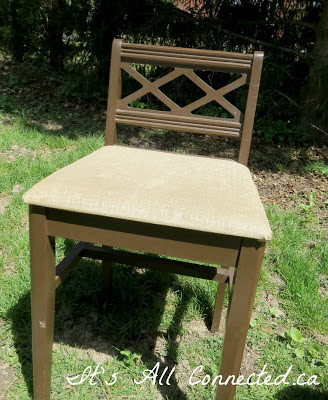 The seat was really unattractive and I wanted to personalise it like Diana did for her granddaughter. This was a birthday gift for the granddaughter we call Lady Gaga and she loves as much girly stuff as you can get on a piece! Head off to The Graphics Fairy and find the perfect image for a May birthday girl. It's a vintage French maypole. I sent the image to Picmonkey, added her name to it and reversed the image so I had the letters printing out backwards. If you aren't used to using that kind of editing programme, ask and I'll walk you through it. A bit of lace, attached with fabric glue, covered the area around the hinges where I couldn't get a nice, clean cut. See, there's no sewing on this project! All you need is a staple gun, scissors and glue. Total cost of this project is $4. I even have most of the wedding dress left if I get a sudden proposal! Thanks, Diana! Lady Gaga loved it. Of course the other granddaughters immediately asked if I could make them one. Nope. It's one of a kind and you'll have to wait for some other blogger to inspire me with a great idea. Oh wow that's so cool! I want a fancy pants chair that wears a dress and hides my treasures! That little girl is going to be over the moon! 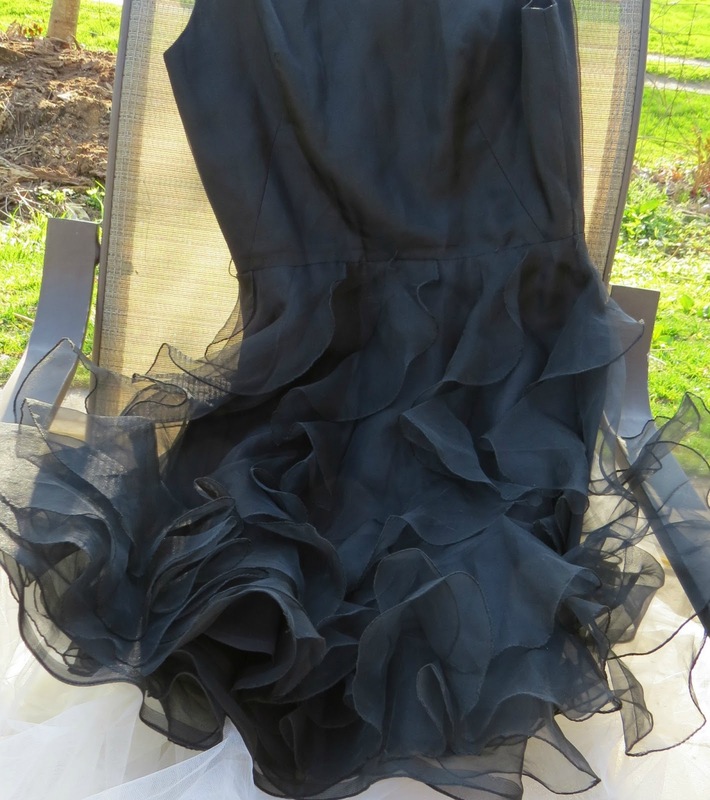 Wow that is beautiful, I love the thought of using an old dress, we have lots of those in the back of the closet. I am sure Sam will love it, she is a lucky girl. That is over the top gorgeous!!! I'm sure she'll love it! Great image from the graphics fairy. Love how you did this makeover for $4. Amazing!! 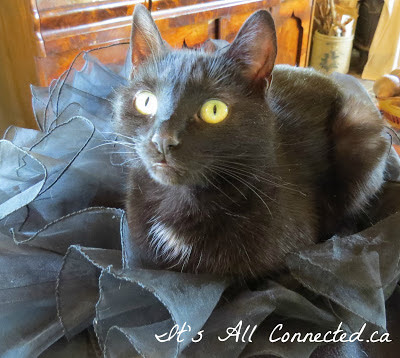 I think the older I get the more value I see in a tutu. Girly, and fun. What a sweet idea! The princess chair you made looks pretty and I'm sure one of your granddaughters will love it. No one asked you to marry them? Unbelievable loss on their part!! This is the cutest chair! 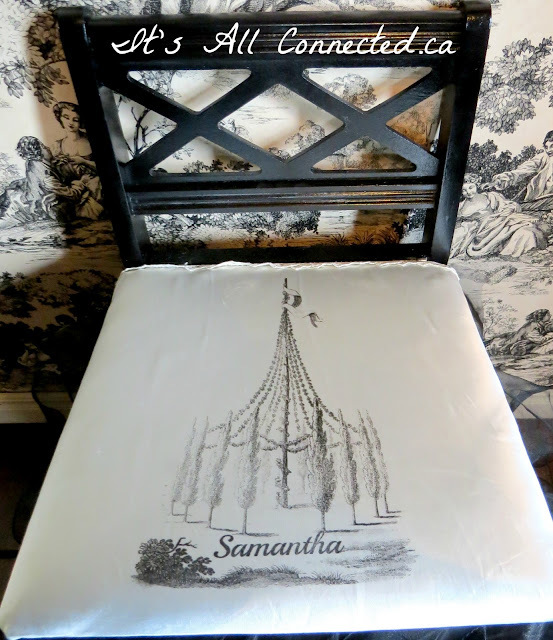 Now I think I need to copy you because this would be perfect for my black and white bedroom! I'm pinning it to my bedroom makeover board for inspiration! Thank you for the "no-sew" aspect of it too, you know I appreciate that. Now to find some great scores at the thrift shop! Thanks for linking up and I love this project! This chair is just too cute. Love the graphic and the bottom you did is adorable! 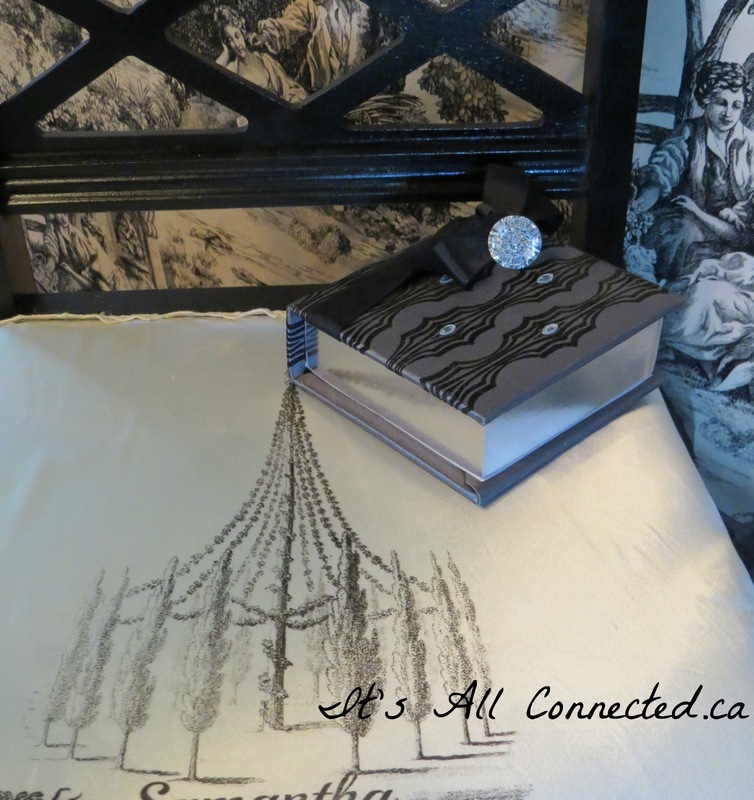 Oh Maureen - this is just gorgeous - and wow the note pad is PERFECT for it!!!!!!!!!!!! I think there is going to be a lot more copying going on - it's just beautiful! ( thanks for the shout out ) !!! Absolutely darling!!! What little girl wouldn't feel like a princess in that chair! It's just so pretty Maureen, love the skirt and I think the best bit is that it has a secret compartment ! That is just SOOO original and pretty and smart. Maureen you are always so smart. I am pinning this one.. oh yah!! Oooh lala, that's a pimpin chair with allot of game as my daughter would say! That is a chair that is certainly fit for a princess (or a Lady Gaga). You did a fabulous job transforming the plain little brown chair into a work of art with your clever transformation. Thanks for sharing how you did it! Ahhhh... It's glorious! What a great idea and I bet she loved it to death! You crack me up! :)I'm laughing out loud, (yes, I know LOL means that, BUT you deserve the whole phrase spelled out as a reward for your wedding jokes!). Now, back to the matter at hand...your magnificent makeover of a May birthday girl's gift: creative, fun and personalized, just as a gift should be. What a lucky girl she is to have such a thoughtful and savvy granny! 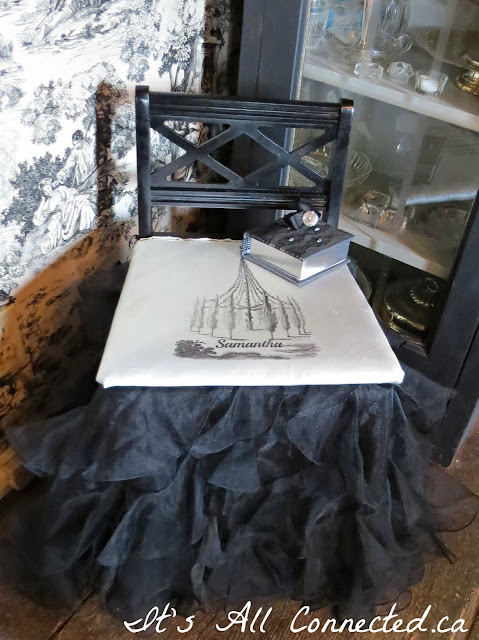 Maureen, What a cute chair and very creative! Definitely a chair meant for a princess. Thanks for sharing this at the Open House party. OHHH - I would have thought I was in heaven if I had been given this chair when I was a girl - oh who am I kidding, I would still feel that way today at 65. I'm so glad ___ loved her present, she deserves it with all she endured before she became a part of the family. Love your creativeness! So beautiful and creative!! What little princess wouldn't love that? Oh my I can't believe I missed this. I love, love, love it! I did something on a much less sophisticated scale for my daughter years ago. But this is classy and she would love it even at the age of 19. I bet I'm missing A LOT of great inspiration! I've got to start reading all my favorite blogs regularly again (in my spare time when I'm not sitting in a bubble bath eating bon bons). Where does the time go? Your granddaughters are so lucky to have you for a grandmother! You are a fun one. Love how you fixed up the chair. Cutest project ever! I've only tried the Citrasolv transfer method once but didn't have great success. I read your tutorial as well and am ready to give it another try! That is SO amazing! I love this. Thank you so much for linking up to my Homemaking Party! I'll be featuring this post in a few minutes when I get the new party up. A Car Full Of What? Everyone Needs A Clump Of Chives!